We already shared with you a massive update details aimed at improving hero balance (read details here) as well as the appeal of heroes that had previously been underused. 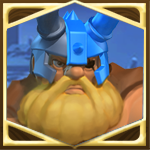 The new update brings huge changes to heroes and vastly improves the balance of the game. Note: Each hero can be exchanged only once. When you make an exchange, your new hero will replace your old hero and inherit its level. Your old hero’s extra attribute and ability points will be returned to you, and you will find its previously equipped items returned to your inventory, their cooldowns reset. If you have any questions about the upcoming hero exchange, please don’t hesitate to contact our support team. We will be publishing all the pertinent hero details on our official website for your consideration before you make your exchanges. Our mission is to bring unprecedented gameplay experiences to our players around the world, and we need your help and feedback to make Art of Conquest the best that it can be. Thanks again for your incredible support, and have a fun time in the game! You will be able to do the exchanges after the next game update. Below please find a picture showing which heroes you can exchange, and which heroes you can obtain from this exchange.